The Alpbach-Laxenburg Group (ALG) strives to support global economic and social transformations towards sustainability by creating and communicating positive narratives for sustainable development and business opportunities, grounded in cutting edge international systems-science. The group was jointly launched in August 2013, by the European Forum Alpbach (EFA) and IIASA as part of their ongoing strategic partnership. The initiative was presented to the UN Secretary General, and discussed at a special meeting during the European Forum Alpbach 2013 with the President of the European Commission, Jose Manuel Barroso, Austrian Federal President, Heinz Fischer and senior United Nations officials. The basic goal underlying activities and deliberations of the group will be to support global transformations towards sustainability by creating and communicating positive narratives for sustainable development and business opportunities, grounded in cutting edge international system-science. 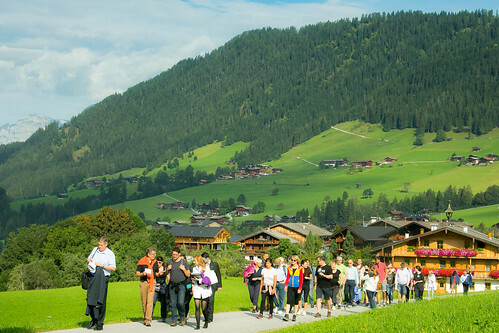 The Alpbach-Laxenburg group, containing great minds from all corners of the globe, spent a day together hiking the Tyrolean mountains, visiting the last working mill in Alpbach and working in seminars high up in the inspiring atmosphere of Böglhof. Produced by the Media Academy of the European Forum Alpbach.